Article 1(1)(a) of the Betting and Gaming Act (the Act), defines games of chance as ‘an opportunity to compete for prizes or premiums if the winners are designated by means of any calculation of probability over which the participants are generally unable to exercise a dominant influence’. A prize or premium is to be understood as anything that has an economic value and thus includes in-kind prizes as well as monetary ones, and may well entail that the definition of a game of chance also captures social gaming. Payment of a stake is not required. No definition of a game of skill is provided for, but so as to ensure consistency when determining whether new games constitute games of chance or not, the Gaming Authority opened a consultation process at the end of 2017 on its draft framework for assessing whether a game amounts to a game of chance. Once the final version of the framework has been published, all stakeholders will be able to have a clearer vision of what amounts to a game of chance. In its prevailing format, the Act only defines those games of chance for which one or more licences can be awarded for the offering thereof. These are explained in greater detail under Section II.iv below, which also reflects the current lack of a regulatory regime for remote gambling. No general categories such as ‘betting’ or ‘gaming’ are used. According to the remote gambling bill (the Bill) the future licensing regime for remote gambling will be formed along the lines of two licence types: sports betting and casino gaming. Within these two categories, poker, casino games, slot machines, sports betting (fixed odds), exchange betting, pari-mutuel betting, live betting and short-odds bingo will be permitted, while online lotteries (including long-odds bingo), spread betting and betting on non-sports events will remain prohibited. The regulation of gambling is guided by offering a legitimate alternative to unlawful offers through which demand can be ‘channelised’. However, the use of monopolies per type has been implemented so as to reduce competition between operators with a view to preventing the excessive consumption of gambling services. Prior to the introduction of some forms of gambling, legislative texts reveal that the generation of revenues (e.g., for sports) was a key motivating factor. The future remote gambling regime will not have a cap on the number of licences available, but strict regulatory requirements will be relied upon to achieve the same regulatory objectives. In the near future, Holland Casino’s monopoly on the provision of casino gambling will be dissolved, as the government no longer considers the provision of gambling to be a task of the state. This reform will also increase the overall number of casinos on the market and the number of operators. Gambling is not regulated with a view to it being exported. At present, the Dutch gambling landscape is populated by a mix of state-owned and private entities operating alongside each other, within their clearly defined market segments. Space for private operators is found within the good causes lottery sector, the slot machine sector and the horse racing totalisator. While holders of licences for non-incidental games of chance (good causes lotteries) are private entities, it must be noted that operators of such licences are prohibited from generating private profits. Scope for the generation of private profit is restricted to the slot machine arcade operators. The remainder of the licensed gambling market is supplied by state-owned operators. For the time being, the 14 casino venues are operated by state-owned Holland Casino, while various entities under the umbrella of the Nederlandse Loterij operate the state lottery, sports betting, lotto and instant lottery (scratch cards). In April 2016, De Lotto was taken over by the Staatsloterij, resulting in the formation of the Nederlandse Loterij. While the Staatsloterij is a publicly owned operator, De Lotto was a private non-profit making foundation. This takeover, and thus expansion of the state’s gambling operators, conflicts with pronouncements already made that providing gambling is not a task for the state. The Gaming Authority is the sole body competent to award licences that enable the exploitation of games of chance in the Netherlands. This thus encompasses all of the exclusive licences, as well as licences for non-incidental games of chance and the exploitation licences for slot machine operators. Local municipalities are empowered to award premises licences for slot machine operations within their geographical areas and establish limitations on such venues in local ordinances (e.g., a cap on the total number of venues, opening times). Other than the forms of gambling explicitly exempt from the prohibition on unlicensed games of chance, all unlicensed forms of gambling that are made available in the Netherlands are unlawful. In terms of the legality of the offer, it is irrelevant whether such offers originate from within the Netherlands or outside. Further, it is irrelevant whether the offer is licensed or unlicensed, or originates from within the EU or EEA or further afield. With a view to the introduction of a licensing regime for remote games of chance, and subsequently channelling 80 per cent of the market into operations regulated at the national level, the Netherlands has not been aggressive seeking enforcement measures against all operators present on the Dutch market. In June 2012, the Gaming Authority introduced its enforcement approach, referred to as the ‘prioritisation criteria’, which was expected to bridge a relatively short transitional period until the licensing of remote gambling could begin. Given delays in the legislative process, the introduction of this licensing regime is still pending, nearly six years later. The passage of such a length of time, along with political critique regarding the level of enforcement action, has placed considerable pressure on the enforcement policy. c use radio, television or print media advertising targeted at the Netherlands. The Gaming Authority made clear to the industry that compliance with the criteria reduced the likelihood of enforcement and did not alter the legal status of the offer – in other words, prioritisation-criteria compliant offers breached the prohibition on unlicensed games of chance. Despite this, the Gaming Authority sent letters in the early stages of this approach to operators, recognising that the changes that had been made entailed that the offer was compliant with the criteria. Formally speaking, online advertising was omitted from the prioritisation criteria. However, on two separate occasions, the Gaming Authority warned operators against online advertising directed at the Netherlands around international sporting and other events, and national sporting and other events ahead of major competitions in 2014 and 2016. With the passage of time, the boundaries of the prioritisation criteria became less clear. References were made to a ‘risk-based approach’ to enforcement, which suggested that the apparent clarity of the prioritisation criteria would be overridden when a offer was deemed to pose too great a risk to consumers. This was formulated in the Enforcement Policy of October 2016, which also suggested that those games that did not strictly fall within the definition of a game of chance could trigger enforcement measures should the risks of harm be comparable to those associated with true games of chance. The most considerable shift in the Gaming Authority’s approach was announced by way of a press release on the last Saturday in May 2017. As of a couple of days later, on 1 June 2017, a new approach would apply, and equally to those operators that were fully compliant with the prioritisation criteria. The approach was based upon a non-exhaustive list of triggers, which include the use of a domain name that refers to gambling and is associated with the Netherlands (e.g., ‘Clog Bingo’), the presence of symbols that contain elements closely associated with the Netherlands (e.g., windmills), the use of payment methods closely associated with the jurisdiction and the absence of geo-blocking measures. Another potential trigger for enforcement action was not excluding minors from participating in gambling services. This has the potential to be problematic given that regulatory regimes, such as those applicable in Malta, do not require operators to immediately verify the age of a player upon an account being opened, but only upon a trigger at a later stage. Indeed, the proposed regime in the Netherlands would also give licensees a period of time in which verification processes could be run (albeit with restrictions on the temporary account). On paper at least, the Gaming Authority’s approach appears to be stricter than what the future regulatory regime will require. It is expected that, as a rule of thumb, those operators that have been sanctioned for their presence on the Dutch market ahead of the introduction of the remote gambling regime (where enforcement will most likely have been triggered by a breach of the prioritisation criteria, as amended) will not be found to be suitably reliable and will be denied a remote gambling licence under the new regime. While the Bill does not contain a bad actor clause as such, a parliamentary motion that predates the Bill calls for remote gambling operators present on the Dutch market without a local licence to be denied a licence once they become available. During subsequent parliamentary debates on the Bill, the thrust of the Ministry of Justice and Security’s approach has been that those who have been sanctioned will not receive a licence, and neither will those operators that have otherwise persistently targeted the Dutch market. Avoiding sanctions and otherwise not targeting the Dutch market are key to ensuring that the chances of receiving a licence are as great as possible. Dutch gambling law permits a range of gambling products to be offered pursuant to the Act, which was initially introduced in 1964 and has been subject to various amendments in the decades since. It is important to note that at present, legislation designed to introduce a licensing regime for remote games of chance is currently before the Senate, the upper house of the Dutch parliament. Absent the legislative reforms that the Bill will introduce, it is unlawful to offer remote games of chance in the Netherlands. Article 1(1)(a) of the Act performs two key functions: it establishes that it is prohibited to offer unlicensed games of chance in the Netherlands and provides the definition of a game of chance. This prohibition is flanked by two further prohibitions, that on promoting unlicensed games of chance (Article 1(1)(b) of the Act) and that on knowingly participating in such games (Article 1(1)(c) of the Act). Licensed offers can only be provided offline, subject to two exceptions. First, some of the incumbents are permitted to offer their land-based offering via the internet, which is referred to as the ‘e-commerce exception’. The internet is seen as merely constituting an additional sales channel for the land-based offer, and the ‘e-commerce’ offer must not go beyond the land-based offer. Second, holders of a licence for non-incidental games of chance can also sell their tickets online and operate without the need for an offline outlet. However, neither of these two exceptions represent a true remote gambling offer. In part because of the lack of a licensing regime for remote games of chance, and thus the lack of opportunity to accommodate ‘newer’ forms of gambling, other types of games of chance that may be prevalent within the regulatory regimes of other jurisdictions are not provided for by the Act. There are several forms of gambling that are exempt from the requirement to be licensed and therefore can be offered without the provider breaching Article 1(1)(a) of the Act, conditional upon applicable conditions being satisfied. Such forms include promotional games of chance and small-scale gambling. In terms of the scope of the prohibition on promoting unlicensed games of chance, this relates to advertising but does not extend to payment processing. The Gaming Authority had sanctioned a payment services provider for having offered its services to a remote gambling operator that had been sanctioned for offering unlicensed services in the Netherlands, and had done so in breach of the prioritisation criteria. The Gaming Authority took the stance that to ‘promote’ also includes to ‘facilitate’, but on 27 December 2017, the Council of State held that the prohibition on promoting unlicensed games of chance did not extend to payment services.2 This may have a chilling effect upon the appetite of the Gaming Authority to bring cases against business-to-business (B2B) service providers. Equally, and in the alternative, it cannot be excluded that it will seek to qualify B2B providers as co-perpetrators or accessories to an operator’s breach of the prohibition on providing unlicensed games of chance. A key case that has been influential in shaping discourse in the Netherlands is Sporting Exchange.3 Following the judgment of the Court of Justice of the European Union in the preliminary reference proceedings in Case C-203/08, where the Court held that the lack of a transparent licence allocation procedure for an exclusive licence is incompatible with the freedom to provide services unless the holder thereof is a private operator subject to strict control or a public operator subject to direct control, the Council of State rendered a game-changing decision. In its judgment of 23 March 2011, it held that neither the holder of the single sports betting licence nor that of the horse race betting licence were under suitably strict control so as to justify the lack of a transparent licence allocation procedure. Subsequent judgments of domestic courts have reiterated this position, notwithstanding changes that were made to the governance of De Lotto in an attempt to bring it under sufficiently strict control. The takeover of De Lotto by the Staatsloterij, a state-owned entity, does not automatically justify the lack of a transparent licence process for De Lotto’s licences; De Lotto must be deemed to be under direct control. This line of case law also resulted in the introduction of a transparent licence allocation process in 2016 for the award of the single horserace betting licence (valid for 2017–2022). The 2011 decision has also shaped legal discourse around the licensing process for the licences for non-incidental games of chance, as well as filtering through to the level of local municipalities in terms of premises licences for slot machine arcades. The Gaming Authority, which is based in The Hague, is an independent regulatory organisation tasked with the supervision and enforcement of the Act, including the award of licences available pursuant to the Act. While land-based gambling is permitted and regulated, remote gambling is prohibited, given the lack of a legal basis for the Gaming Authority to award remote gambling licences. 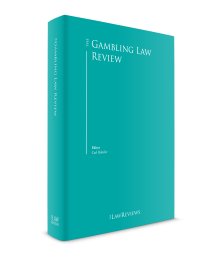 As noted elsewhere in this chapter, a few opportunities currently prevail for some forms of gambling, offered pursuant to existing licences, to be provided via the internet. The provision of casino gambling is subject to a monopoly, held since its inception in the 1970s, by Holland Casino, which is owned by the state. Holland Casino operates 14 venues nationwide, providing both table and machine gaming. In contrast to the entire land-based market, save for licences for non-incidental games of chance, the slot machine sector is the only one to which no cap on the number of licences applies. In order to operate a slot machine arcade, an exploitation licence is required from the Gaming Authority, while a licence is also required from the relevant local municipality in relation to the premises on which the slot machines are located. Licences can be awarded to cafés and restaurants that are targeted towards those over 18, as well as to premises that are dedicated to the provision of such games of chance. Local municipalities are competent for deciding whether slot machine arcades are permitted within their municipality, and if so, how many, where and other restrictions such as opening times. Two monopolies prevail in the field of betting: that for sports betting, as operated by Lotto BV, which is part of the Nederlandse Loterij, the public lottery operator; and for horse race betting, which is operated by Sportech Racing BV. Both licences are of the type referred to as ‘semi-permanent’, given that they are valid for a period of five years and have been reallocated to the incumbent holders. Other offline forms include the lotto, whereby participants predict a given number of symbols from a predefined range, from which a draw is then made. Lotto is offered pursuant to the same licence as that for sports betting. Another form, also offered by Lotto BV, albeit subject to a different exclusive semi-permanent licence, is the instant lottery. This is defined as a lottery whereby prizes are allocated to winning tickets before sales commence. It is offered in the form of scratch cards. An unlimited number of licences for non-incidental games of chance are available. Traditionally, only four semi-permanent licences were awarded on the basis of this provision, however, this de facto cap was successfully challenged in domestic legal proceedings, also following the Sporting Exchange line of reasoning. All games licensed on this basis must be for the public good, with 50 per cent of revenues going to good causes. Because of the lack of the necessary legal basis in primary legislation for the Gaming Authority to award licences for remote games of chance, there is no legal remote gambling offer in the Netherlands. On the basis of current proposals, operators of land-based venues will be prohibited from offering remote products within their premises. All land-based operators will have to obtain remote gambling licences in order to offer their services remotely. In terms of slot machines, a type approval system applies, and it is illegal for an unapproved machine to be present on the Dutch market. Different categories of machines are approved for use in Holland Casino venues, slot machine arcades, and in cafés and restaurants. The type approval system also applies for skill-gaming machines. B2B licensing is not foreseen for the future remote gambling regime and neither is a system of personal licences. As a consequence of the ongoing delays to the legislative process of the Bill, details as to the actual remote gambling licensing process have not been released. It is understood that the Gaming Authority aims to go for a ‘big bang’ approach, and that a licence application will take four to six months to be processed. Other than for licences for non-incidental games of chance and those required for operating slot machines, all licences are exclusive and have been awarded on a semi-permanent or exclusive basis (e.g., Holland Casino). The absence of a transparent licence allocation mechanism has generated considerable case law that resulted in the Sporting Exchange litigation mentioned above, which itself has spurred further cases in the years after the Council of State rendered its 2011 judgment. Until 2016, the licensing process for non-incidental games of chance was also fraught with the same transparency-related problems, and indeed, a de facto cap prevailed on the number available. Following the Lottovate decision of May 2016, the cap was lifted and a transparent licence allocation procedure introduced.4 Licences are now available for all legal entities with their statutory seat or HQ within the EU and EEA, and are available for up to five years. Following the completion of the necessary licence application form the Gaming Authority will reach a decision within eight weeks, subject to additional questions being posed to the applicant. The cost for submitting a licence application depends upon the total value of the prizes, and ranges from €226 to €2,268. In terms of slot machine gambling, an exploitation licence, which has nationwide application, must be obtained from the Gaming Authority. A premises licence must be obtained from the relevant local municipality in which the slot machines are to be operated, in accordance with the requirements of the municipality. Exploitation licences are awarded for a period of 10 years, on the condition that the Gaming Authority is convinced of the integrity of the operator and those persons responsible for the daily operations, and the operator must also have a workshop or contract concluded with an entity that will undertake maintenance and repairs. Should there be grounds for doing so, the Gaming Authority will also test the integrity of the operator during the lifetime of the licence, a negative decision could result in the licence being withdrawn. An exploitation licence application costs €1,815, and €453 is charged annually for supervision. The Gaming Authority must reach a decision within an eight-week period. The relevant licence application forms can be downloaded from the Gaming Authority’s website. First and foremost, enforcement of the prohibitions contained within the Act occurs on the basis of administrative law by the Gaming Authority, with criminal law only being turned to in instances where administrative law enforcement has failed or when a breach of the Act is accompanied by other criminal offences. The prohibition on promoting unlicensed games of chance (Article 1(1)(b) of the Act) has been in the spotlight in recent years. This prohibition has been understood to include promoting in the sense of advertising, thereby covering affiliates, for example. However, the Gaming Authority interpreted the provision to also include ‘facilitating’, and on this ground took enforcement action against a payment services provider for providing such services to an operator that had been fined for offering unlicensed games of chance remotely (enforcement against the operator was triggered by its failure to abide by the prioritisation criteria). At the end of December 2017, the Council of State rendered a decision that pushed back against such an expansive interpretation, finding that the prohibition did not encompass the provision of payment services. The case only related to payment services, but it can readily be imagined that it could have a chilling effect on the appetite of the Gaming Authority to seek enforcement measures against the providers of other intermediary services on the same basis. It cannot be ruled out that intermediaries might be found to be co-perpetrators or accessories to the breach of the prohibition on unlicensed games of chance as committed by a remote gambling provider. Any case of this nature would be highly casuistic, and such an approach has not be tested before a court of law in relation to remote gambling services. 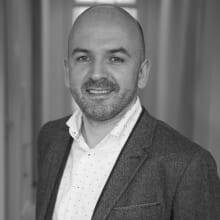 Given that the Gaming Authority’s hands have been tied in relation to the prohibition on promoting unlicensed games of chance, it may well be tempted to undertake this approach, particularly if the passing of the Bill is subject to further delays. On paper, it is also feasible for consumers who have knowingly participated in unlicensed games of chance to be subject to enforcement action. Doing so amounts to a breach of the prohibition in Article 1(1)(c) of the Act, which qualifies as a minor offence and could result in a fine of up to €8,300. In contrast to some other jurisdictions, in practice, this is not made use of in the Netherlands. a Administrative fine awarded by the Gaming Authority, from €150,000 upwards, depending on circumstances. The maximum fine is €830,000, or 10 per cent of the turnover during the previous year if this exceeds €830,000. Entities can also be subject to an administrative order on pain of penalty payments in case of non-compliance. • Maximum fine of €20,750 (notwithstanding imprisonment). • If the proceeds of the crime, or the value of the goods that were used to commit the crime, exceed one-quarter of €20,750, a maximum fine per incident of €83,000 may be imposed. • If the above fine is not a suitable punishment as far as it concerns legal entities, a fine of €830,000 may be imposed. Licence holders can be subject to administrative or criminal enforcement measures, and while an administrative order can be used to sanction all breaches of the Act apart from breaches of the requirement to have a premises licence for slot machines, the Act determines per offence whether administrative or criminal sanctions are applicable. Administrative enforcement measures are available to the Gaming Authority for a range of breaches, such as breaching licensing conditions and allowing participation by minors, and other matters including failing to abide by Article 4a of the Act, which requires licence holders to take measures to prevent ‘as much as possible’ addiction to the games of chance that they organise. Criminal sanctions are available when slot-machine gambling is made available without the necessary licences, or machine models are used that have not been approved by the Gaming Authority. In terms of the prevention of money laundering, the Netherlands has yet to implement the 4th AML Directive (2015/849) into national law, despite the transposition deadline of 26 June 2017. Existing legislation only applies to Holland Casino and pending proposals concerning the implementation of the 4th AML Directive foresee that the Netherlands will only include Holland Casino within the scope of the implementing legislation. This is subject to review pending the aforementioned remote gambling licensing regime. With regard to match-fixing, Sportech Racing BV, holder of the horse race betting licence, is under a duty to ensure the safety and reliability of the totalisator, in particular with regard to the manipulation of events. In this regard, the operator is required to: (1) have a warning system in place to identify suspicious gambling patterns and report such occurrences to the Gaming Authority; and (2) work with other betting providers, both domestically and abroad, to combat match-fixing. The sports-betting totalisator, Lotto, is likewise required to ensure the safety and reliability of its offer, again with an eye to preventing match-fixing. However, it is subject to a different set of restrictions that: prohibit it from offering bets on the outcome of amateur events, youth competitions or handicapped sports events; ban the taking of bets on penalties and sanctions; and do not allow it to offer live betting but likewise require the operator to have warning system in place to detect suspicious gambling patterns and to report these to the Gaming Authority. Similarly, it is also required to cooperate with other providers, both domestic and abroad, to tackle match-fixing. Once regulatory reform has taken place, remote gambling operators will be subject to specific requirements under the revised Act. Currently, games of chance are taxed at a rate of 30.1 per cent. The tax base varies, with two distinct camps within the land-based sector. In terms of other taxes, VAT is charged at 21 per cent and corporation tax is split into two bands. Should the taxable amount (taxable profit per annum less deductible losses) be less than €200,000, a rate of 20 per cent will apply, while the rate will be 25 per cent for taxable amounts of €200,000 or more. Gambling tax is based upon gross gaming revenue (GGR) for slot machines and casino gambling. It also applies, in theory, to remote gambling provided by a Netherlands-based entity. For all other licensed offers, the prize constitutes the tax base. However, gambling tax is only due on prizes greater than €449. In practice, this pushes down the effective rate of taxation paid by some of the incumbents to single digits. Prior to 1 January 2018, the tax rate was 29 per cent. However, the delays that are still accruing surrounding the introduction of the Bill entail that the state coffers have not received income in the form of tax levied on locally licensed games of chance, contrary to expectations. Therefore the tax rate has been increased by 1.1 per cent for all current licence holders, and the rate will return to 29 per cent six months after the Bill becomes law. This should coincide with the issuance of the first remote gambling licences by the Gaming Authority. The tax rate for remote games of chance, to be paid by locally licensed operators, will be 29 per cent GGR. Upon the introduction of the Bill, the 20 per cent GGR was proposed as the applicable tax rate for locally licensed operations. However, members of parliament from the coalition parties successfully passed an amendment to create a single tax rate across all operators. Another amendment was passed that will allow the tax rate to be reduced by up to 4 per cent should the reduction be self-financing. Given the aforementioned tax-free threshold there is no effective single tax rate across the regulated market. Following reforms in 2008, the Gaming and Betting Tax Act establishes that gaming tax is applicable on winnings from international online gambling; players are due to pay tax, again at a rate of 30.1 per cent, on gross earnings per month from operators outside of the Netherlands. Tax due must be calculated on a monthly basis and losses cannot be offset between months. Given issues surrounding compatibility with EU law, the tax is not due on winnings from remote poker when the operator is established within the EU. Advertising of locally unlicensed games of chance is prohibited pursuant to Article 1(1)(b) of the Act. This provision is not a dead letter; as noted above, the Gaming Authority has taken enforcement action against affiliates advertising the services of remote gambling operators active on the Dutch market in breach of Article 1(1)(a) of the Act. Article 4a of the Act provides that licence holders are required to take measures so as to prevent addiction arising through the products that they offer and to ensure that advertising activities are carried in a careful and balanced way so that excessive participation can be avoided. This provision of the Act is fleshed out by secondary legislation, notably the Decree on Games of Chance: Recruitment, Advertising and Addiction and the similarly titled Regulation. Further provisions on advertising can be found within the Dutch Advertising Code. There will be several key developments in the near future that relate to the remote gambling licensing regime. Consultations are anticipated no earlier than the second quarter of 2018 on the secondary regulations that will provide the market with considerable insight into the details with which operators will have to comply. Similarly, a consultation process on the actual licensing process itself is expected around the same time. At the time of writing, the most optimistic estimate of when the licensing process will commence is the first or second quarter of 2019, with the licensed operations commencing approximately six months later. Other key developments relate to the privatisation of Holland Casino and the dismantling of its monopoly. In addition to the sale of the state-owned monopolist, the casino bill makes clear that 10 of Holland Casino’s 14 venues will be made available as a single lot. Four venues will become available to other buyers and two new venues will become available. Furthermore, the Netherlands has been divided into five regions; each region will have at least two casinos and there should preferably be at least two providers per region so as to generate some competition between venues. However, information about the privatisation process, how licences will be awarded and the criteria to select which of the 10 venues will be sold as a package is still awaited. 1 Alan Littler is a gaming lawyer at Kalff Katz & Franssen Attorneys at law. The author would like to thank Mirèse van Doeveren for her assistance.